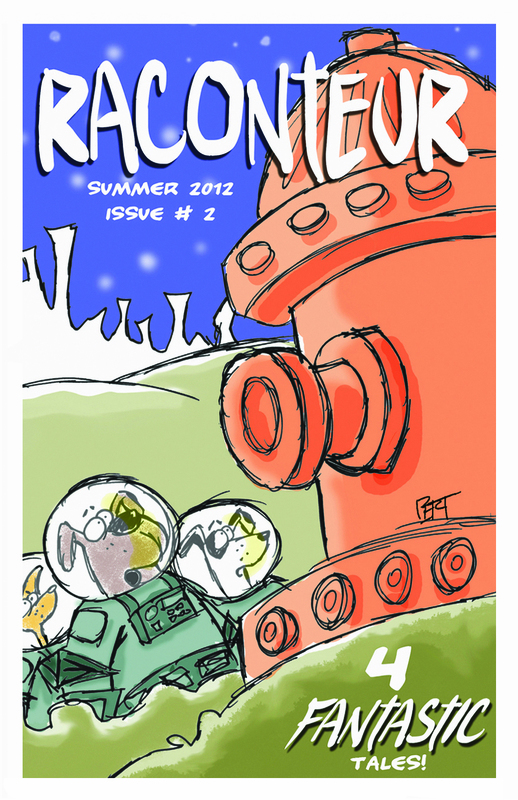 The first two issues are back in print! Above: John Klossner's grand wraparound cover for the first issue. SNEAK PEEK: Here are a few panels from RACONTEUR, the comic book I did with some other friends of mine. I'm selling it, via Paypal. 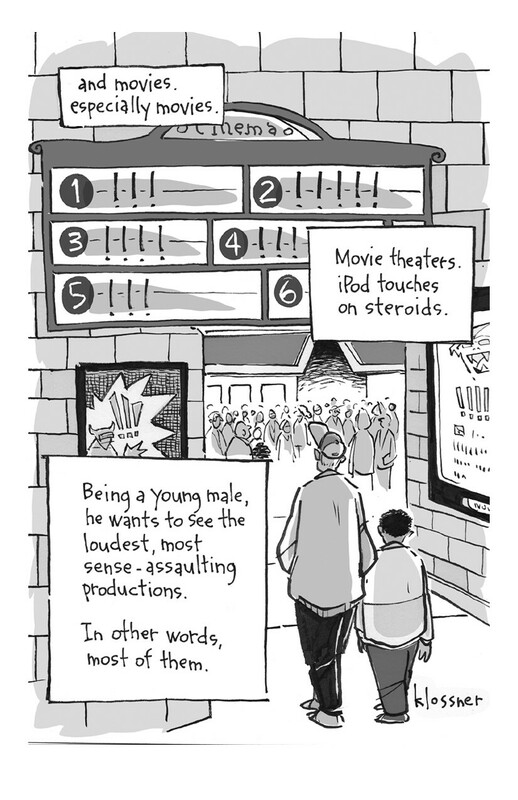 It's a terrific comic (yes, I am saying so myself), from "cartoonists who usually don't do this sort of thing." Inside the 20 page comic book are autobiographical stories by cartoonist who usually draw those single panel gag cartoons like you see in The New Yorker, Down East Magazine, The Wall Street Journal, etc. 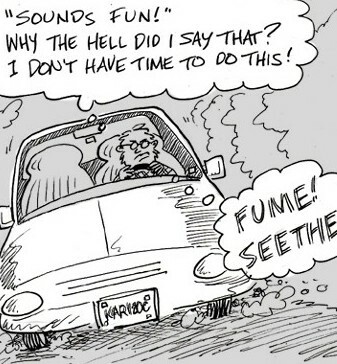 And, of course, what an idea it was! We all gave ourselves about a 2 week deadline to draw up our individual stories. The only criteria was that they had to be nonfiction stories from life. 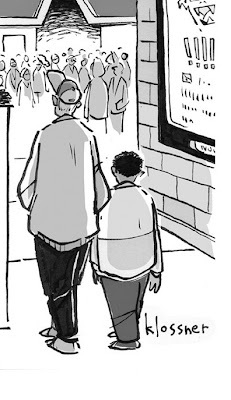 David Jacobson, whose latest cartoon appears in The New Yorker, drew a tale about him and his brother and his Dad, and their shared love of baseball -- which led to a moment of horror. John Klossner writes and draws a unique tale. To say any more would be taking away from it. 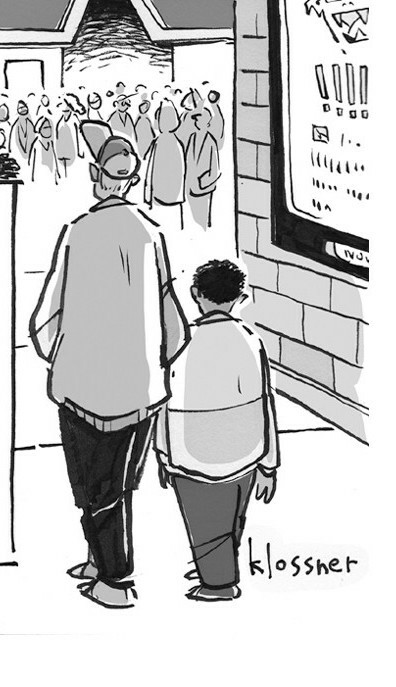 Above is a small snippet from one of the panels. Amazing art. John also did the cover. 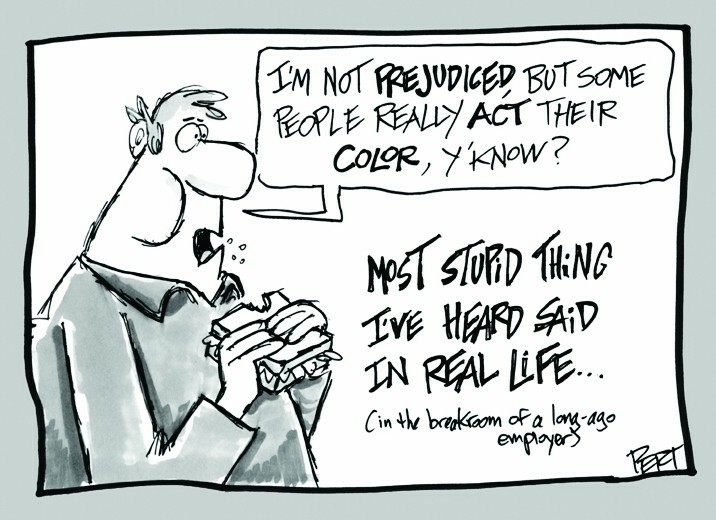 His work is regularly seen in The New Yorker and The Wall Street Journal, and lots of other places. Me, Mike Lynch: I told about the process of cartooning and "the petty indignities that run my life." Jeff Pert reminiscences about all those great things that made up his childhood: comics, monster models, movies and more. 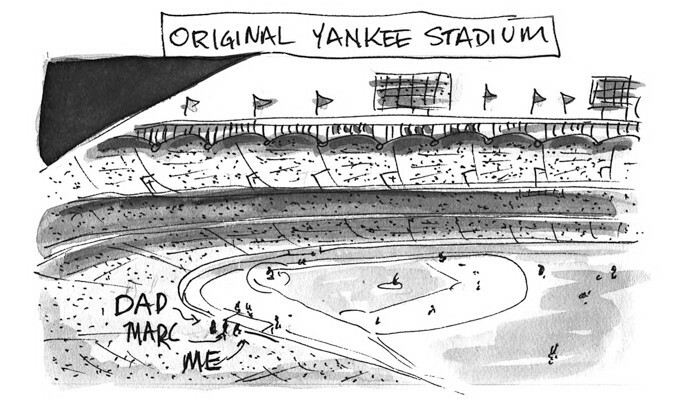 You see Jeff's work on cards and t-shirts and in Down East Magazine. 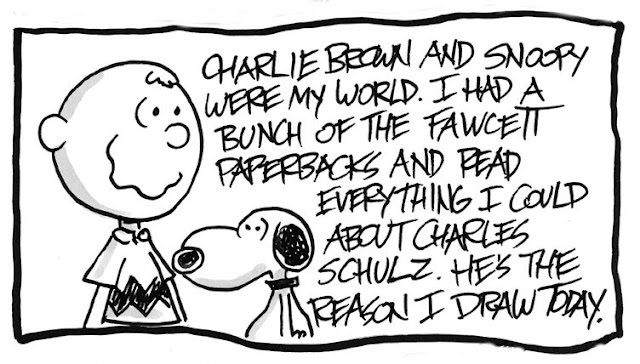 His first collection of cartoons came out last month. 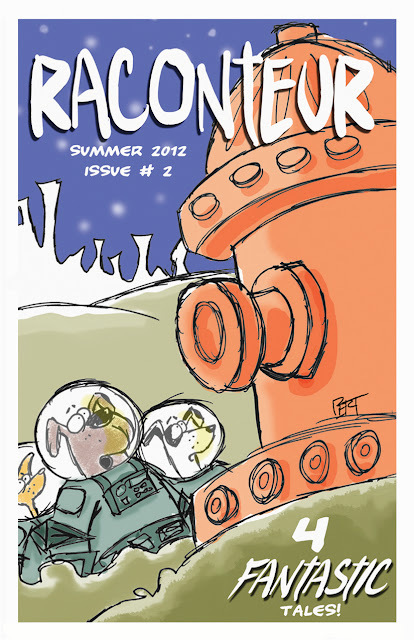 So, that's a peek at RACONTEUR #1. Please consider buying a copy. It's $5.99 for US delivery.$9.99 rest of the world. 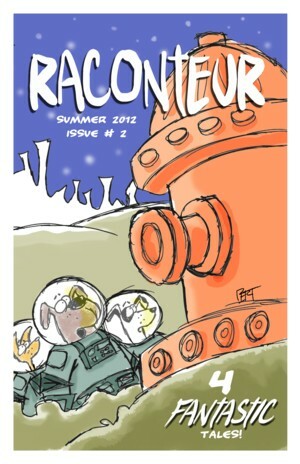 RACONTEUR #2, our comic book by "cartoonists who usually don't do these sort of things," is now in print. 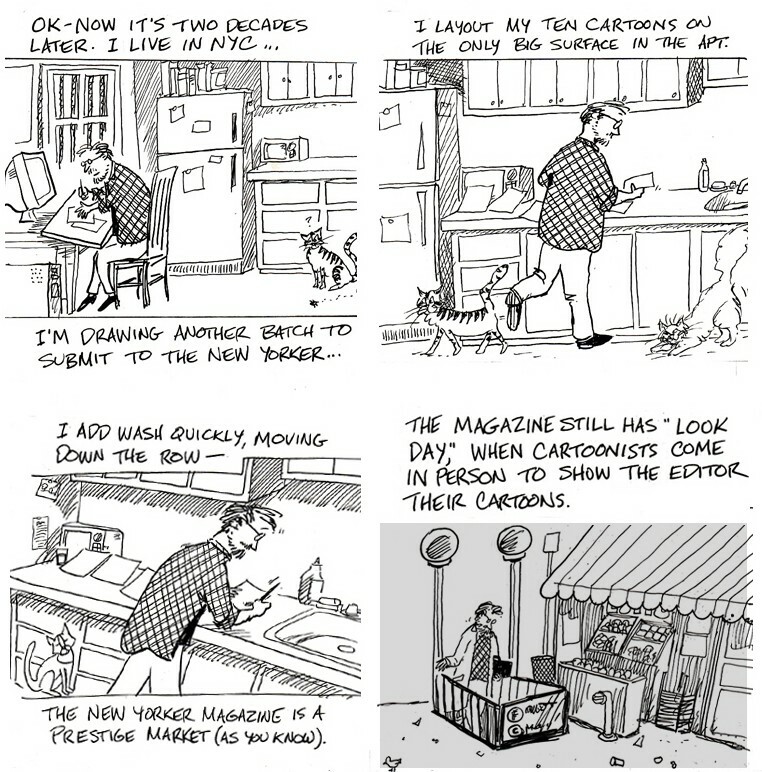 By "cartoonists who usually don't do these sort of things" I mean that the four cartoonists who wrote and drew these autobiographical stories are best known for those single panel gag cartoons for magazines like The New Yorker, Reader's Digest, The Wall Street Journal, Down East, etc. 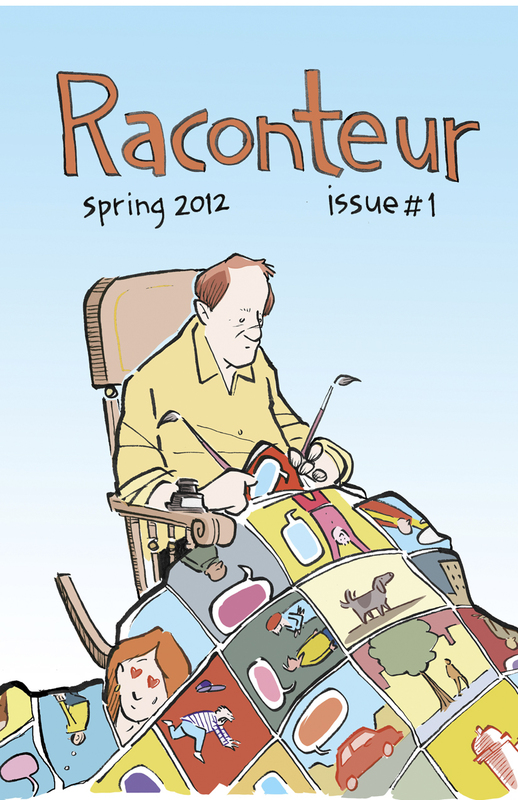 The third issue of RACONTEUR is out and, boy howdy, it's another good one! 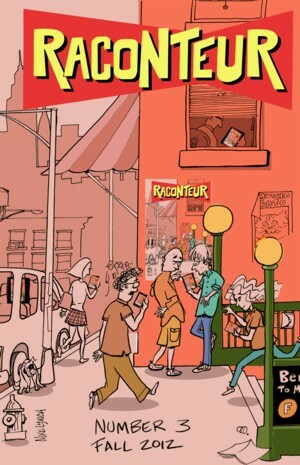 RACONTEUR is the comic by "cartoonists who usually don't do this kind of thing." 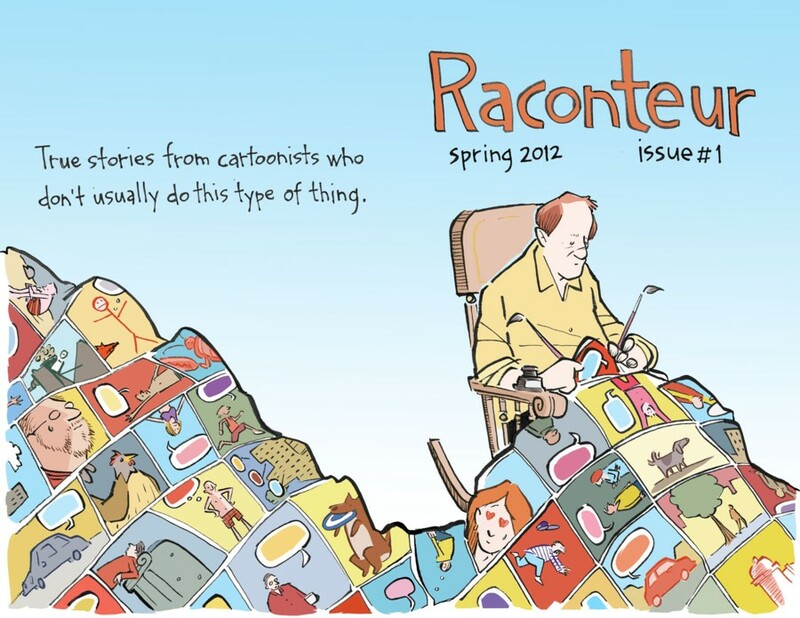 The third issue of RACONTEUR has autobiographical stories put together by people who usually draw those single panel gag cartoons in The New Yorker, Wall Street Journal, Down East Magazine, Reader's Digest, etc. 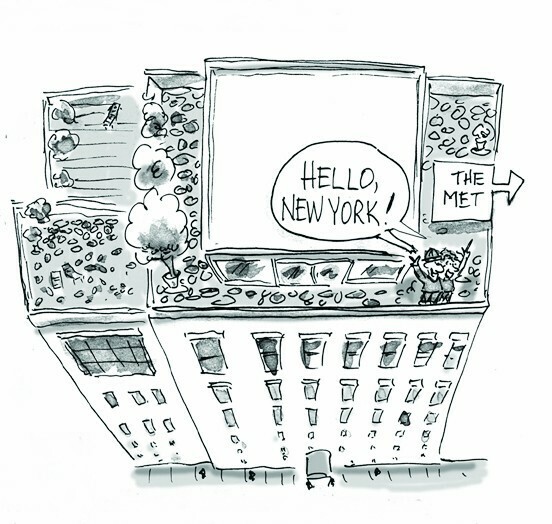 David Jacobson writes about his life in NYC. 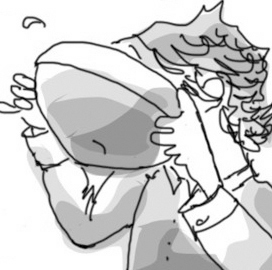 My favorite part: David really cheeses off Leonard Nimoy. 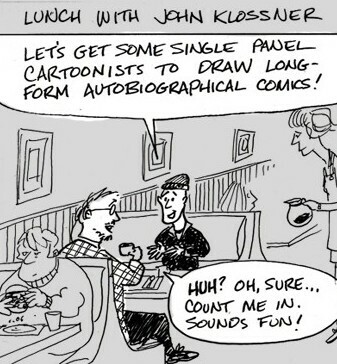 John Klossner shares a horrible true tale about a professional caricature gig that goes really wrong. 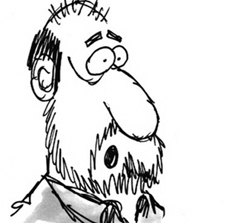 Warning: there's some verbal abuse of a cartoonist. Mike Lynch writes about being a kid in the frozen wastes of "snirt" in Moorhead, MN ... and the ghost in his basement! 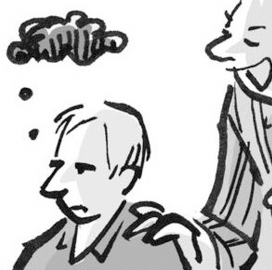 Jeff Pert talks frankly and humorously about his not-so-funny bout with cancer. First Class mail to you, you comics loving fiend you! Binders Full of Wonder Woman!